Hi friends! My dear hubby's birthday is coming up in a couple of weeks, and I thought I would get a head start on his card. It's always a challenge making a card for him because I feel like I've already used every stamp in my collection that is remotely masculine. As I was going through my inventory, I stumbled across this stamp set that I've had for a year and never used and completely forget I'd even ordered! Does that happen to anyone else?! I was really glad I found it, and had great fun watercoloring this image. I hope hubby likes it. I'm pretty happy with the way it came out and like the little pop of orange. 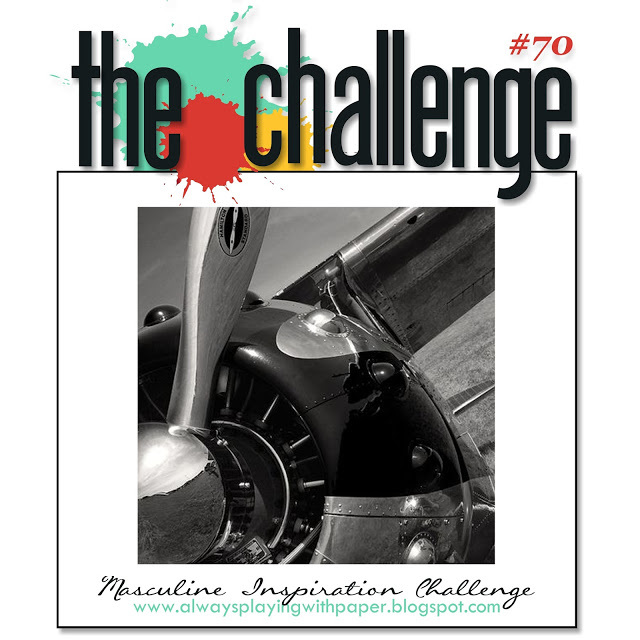 I'm playing along with the Masculine challenge at The Challenge, and Anything Goes at Seize The Birthday. Thanks for stopping by! I'll be taking a little bloggy break next week to get caught up with some projects around the house, but I'll be back on May 8. Have a great week, and I hope you'll leave me a comment! You know, I think I've had this set a year without inking it too! I think it will make a good Father's Day card this year. 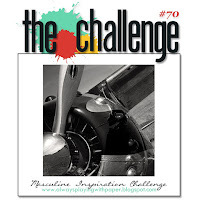 Thanks for the inspiration, Sanday! Such a great card and beautiful coloring! TFS! Just love your water-coloring! The card is great. Enjoy your week and May 8, is Mother's Day, come back on the 9th! Ha. Ha. This is amazing! What a stunning masculine card--I am pretty sure he'll love it! Your coloring is spot on! Hello Sandy: I have this set, I bought it the moment I saw it in the catalog, it's perfect for masculine cards, all 4 images are simply beautiful. Your card is gorgeous, the Mallard looks amazingly real, you matched the colors of this beautiful birds perfectly. Awesome male card, you colored the duck image beautifully! Thanks so much for joining us at The Challenge! So glad you stumbled upon a stamp you have never used for the hubster! Your card in awesome! 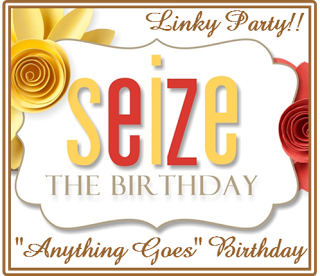 Thanks for linking up with us over at Seize the Birthday! Great masculine card and a perfect image. Fabulous coloring too. Thanks so much for sharing with us at Seize the Birthday. That water coloring is awesome. ( I like that you put all the colors in your card recipe below) Turned out perfect!